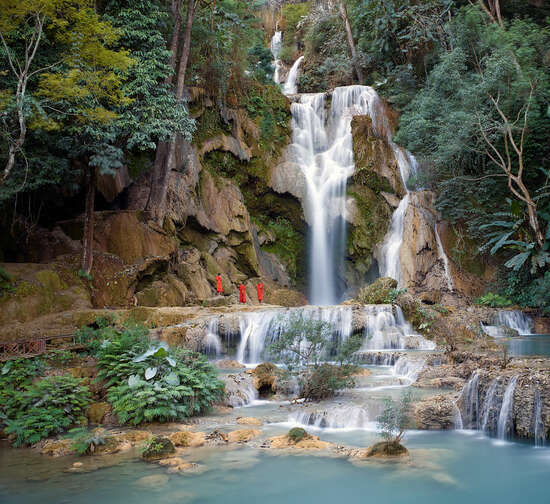 Hidden in the tropical forests of Luang Prabang, the Ta Kuang Si waterfall cascades crystal clear water from a height of over 60 metres. The scene takes on an almost supernatural appearance when hundreds of Buddhist monks in luminous orange-red robes make their annual pilgrimage to this holy site. 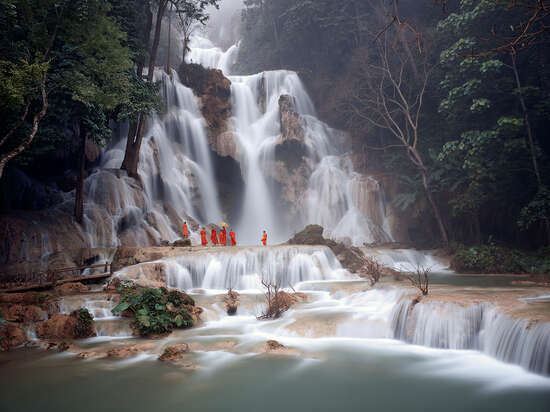 In Buddhism, the waterfall symbolises the source of life, the link between heaven and earth. For centuries, it has played a prominent role as a ritual place of worship for monks from different monasteries. Fascinated by the transcendent harmony that radiates from this spiritual encounter between man and nature, Rui Camilo has documented these extraordinary moments. 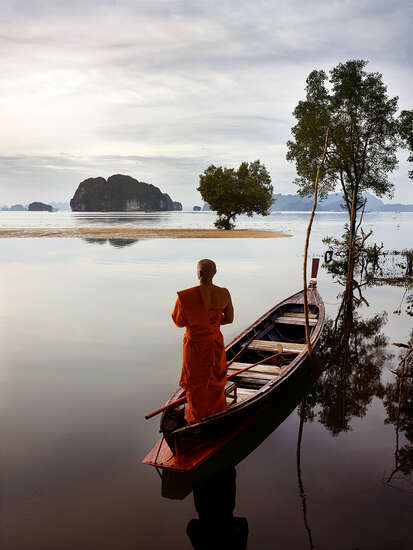 The photographer approaches the imposing Ta Kuang Si like a set designer. The monks gather at the foot of the falls on the shore of the turquoise basin, bathed in the magical blue-green light of the jungle. The balanced combination of colour, light, and perspective seems to transform this scene into an earthly paradise, a spiritual garden of Eden. We are invited to stay a while, to feel its contemplative energy surge through us.